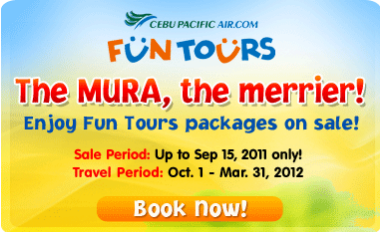 Home Cebu Pacific Promo Cebu Pacific's The Mura The Merrier! 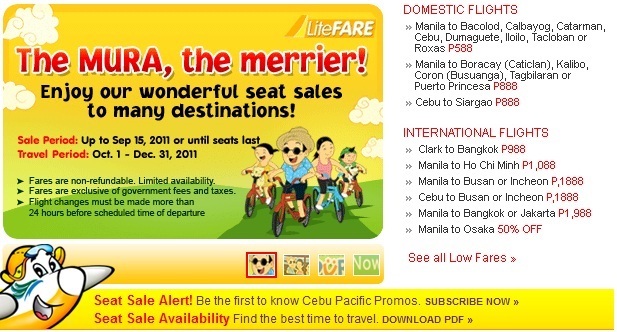 Cebu Pacific is back with its low airfare rates! This time, it's even better! 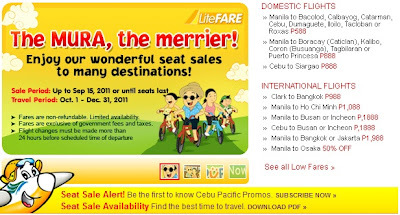 If you have not availed the Piso fare last time then it is your time to book now and book fast! 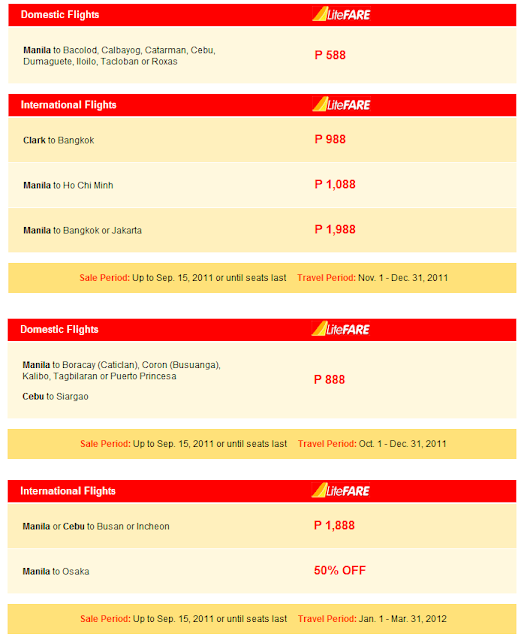 If you get lucky you can avail P588 fare to anywhere in the Philippines and P988 to Bangkok! Even the Fun Tour packages are on sale! Here are the possible fares you can avail of.